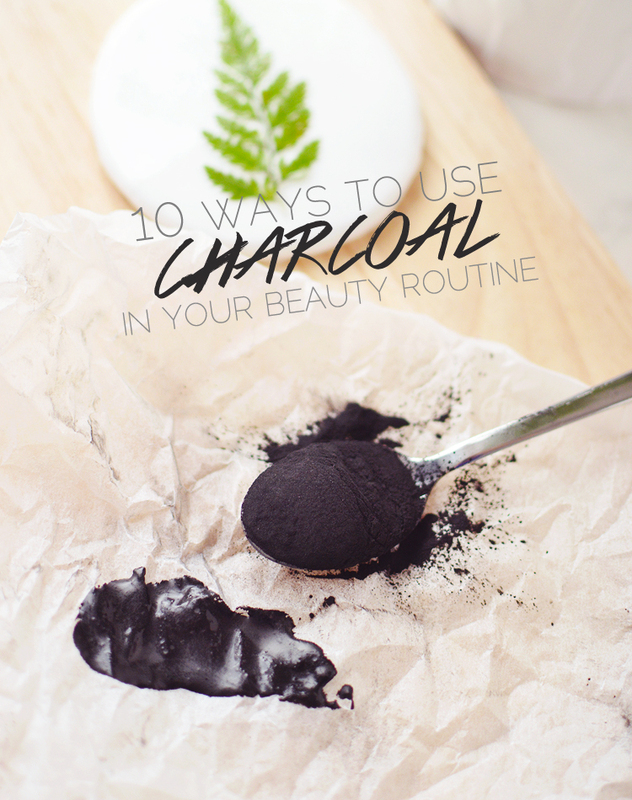 10 Ways To Use Charcoal In Your Beauty Routine. I recently got a big bag of activated coconut charcoal powder and have found myself using it for anything and everything that I can. It's some seriously good stuff and incredibly beneficial for the body. 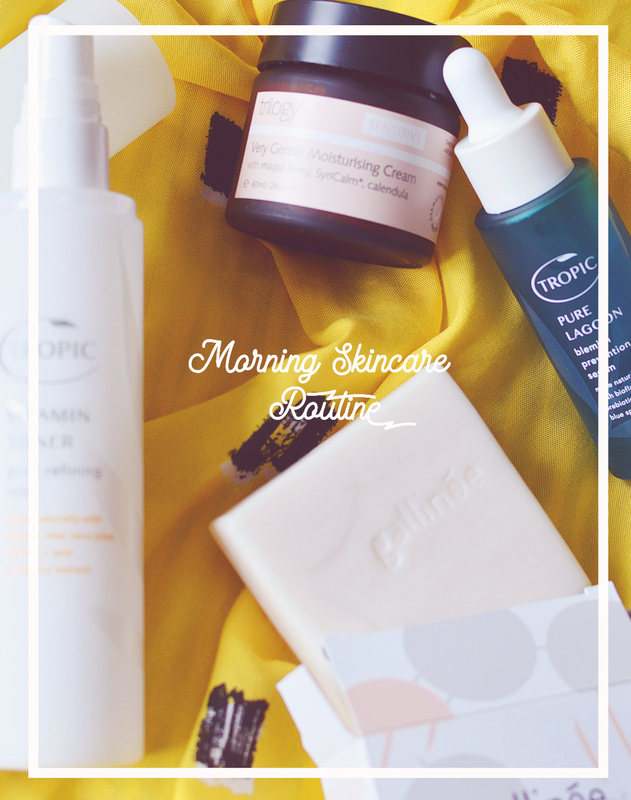 Here are 10 ways to incorporate this super ingredient into your routine! The most obvious of the lot. Charcoal can work with every skin type and removes impurities, blemishes and blackheads without drying out the skin. Mix it up with water or with other clays and powders to get fancy or just mix half a teaspoon with a ready made mask. Add 1/4 cup of charcoal powder to your bath (sorry, you will have to clean the tub afterwards but it doesn't stain) with your usual bubbles, salts and what have you. It looks crazy cool bathing in black water, like something from a horror movie, and does ya good too. Great for back acne, ingrown hairs and patchy tan! Mix a tablespoon with your usual body scrub (or make your own with sugar and coconut oil), or make a huge batch of face mask and find someone willing to paint your back. Keep your scalp free of product build-up and dandruff with charcoal. Find a DIY here. More horror movie inspiration for you here so get brushing to reveal pearly whites! I've tried this, it's shocking, hilarious and feels weird at first - but you get used to it. Charcoal has no taste at all but you can work your way up to using it neat by using it with toothpaste at first. 6. Gentle creamy face cleanser. Mix ground oats with a little charcoal and water to form a creamy paste and then wash your face, this is an ideal cleanser for very sensitive or dry skin as oats are calming and softening. If you're feeling extra crafty, purchase a plain soap base (as good quality as possible) and add charcoal before pouring out the soap to set! Water is the best ingredient for skin health so it makes sense to keep that water as pure as possible. Get yourself a stick of charcoal and add it to a bit bottle of water to keep in the fridge. The charcoal will absorb any chemicals from the water and won't infuse any colour or taste, either. Charcoal juices are a big trend, but why pay their extortionate prices when you can make your own detox drink for pennies? A 1/4 teaspoon of charcoal and a squeeze of lemon into a full glass of water does the job. Drink an hour before eating food to avoid the charcoal messing with nutrient absorption. Charcoal is meant to be great for bloating, hangovers and so much more, but of course consume charcoal with caution! Mix 1 tablespoon of charcoal with 2-4 tablespoons of coconut oil, 2-4 tablespoons of a carrier oil (such as avocado, grapeseed, jojoba) and store in a small jar. You can customise with essentials oils such as tea tree, rosemary, lavender or rose, and if you live in a warmer climate where your coconut oil is always liquid (lucky!) add 1-2 tablespoons of melted candelilla (plant) wax to the mixture to help it remain balmy. Adding the wax is also a good addition if you have very dry skin too! Pick up your activated charcoal here if you're in the USA, or here if in the UK! 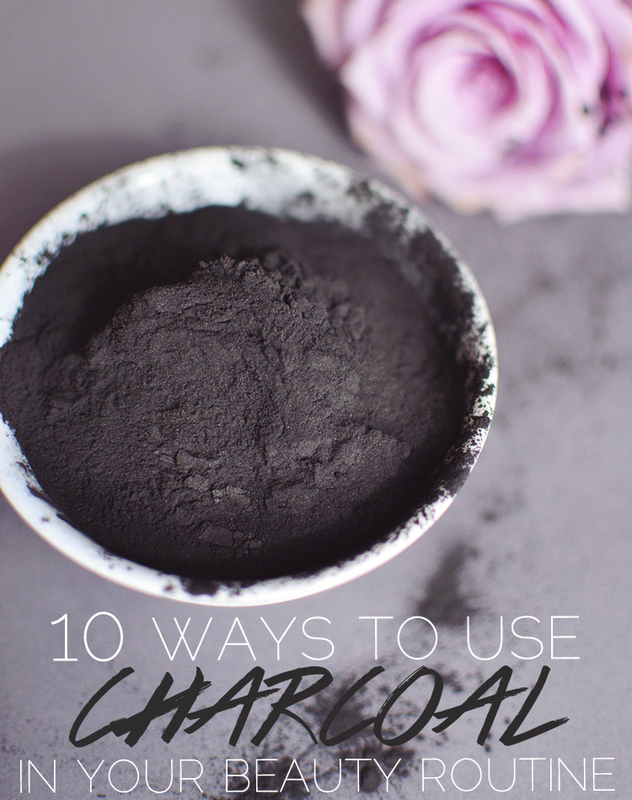 Have you used charcoal for any of these DIY's before?